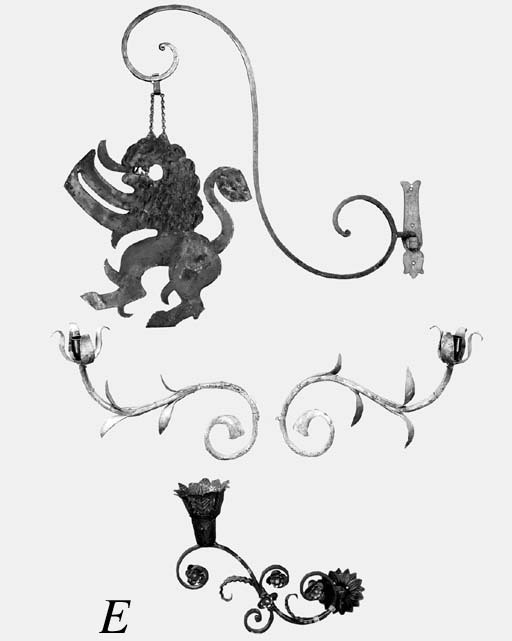 modelled as a rampant lion, suspended from an associated scrolling bracket, the lion -- 20¾in. (52.5cm.) high, the bracket -- 36in. (91.5cm.) protrudence, approx.